Vorher hatte ich noch keine Version von "New Rules of Lifting" gelesen. 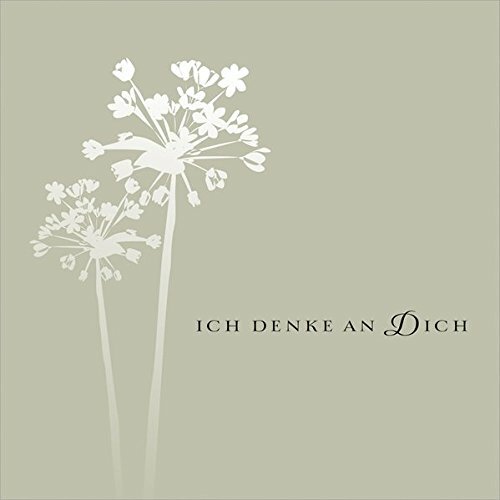 Eigentlich bin ich auch tatsächlich nur durch Zufall über dieses Buch gestolpert...und ich muss sagen: Zum Glück.Zunächst ein kleiner Malus: Die angepriesenen Videos funktionieren wahrscheinlich nur auf dem Kindle Fire. Da ich aber ein herkömmliches Tablet zum Lesen verwende, sind die Videos für mich quasi nutzlos. Ich ziehe aber hierfür keinen Stern ab, da es weder die Qualität des Buches beeinflusst und ich davon auch nicht überrascht wurde. 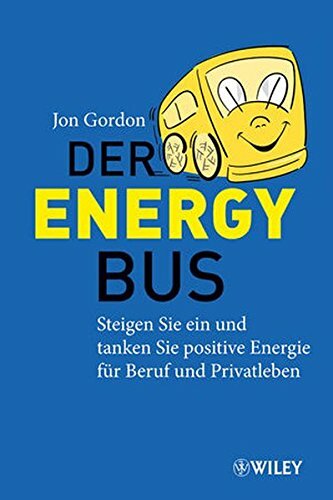 Ausserdem gibt es genug Anschauungsmaterial auf Youtube...also nicht schlimm.Zu dem Buch selbst:Das Buch besteht einerseits aus Ideen zur Fitness (die Titel gebenden Regeln - wobei hier nichts wirklich überraschendes zu finden war, wenn man sich mit der Materie generell beschäftigt), einer Sammlung von Übungen und der Vorstellung des Trainingskonzepts.Die Übungen sind sehr umfangreich und in einer Art Baukastensystem gegliedert. Bei jeder Übung gibt es eine Empfehlung für welchen Fitnessstand sie geeignet ist bzw. zu welchen Plänen Sie am besten passt. Die Übungsbeschreibungen sind oberflächlich, so dass man besonders bei den anspruchsvolleren Übungen (z.B. Deadlift oder Squat) noch ein wenig Recherche oder besser einen Trainer konsultieren sollte.Das System selber fordert einen schon. Es ist nicht als starrer Trainingsplan aufgebaut, sondern wie erwähnt als Baukasten. Dies bedeutet das man sich intensiv mit seinem Training beschäftigen muss und sich entsprechend die Übungen aus dem Buch zu einem geeigneten Plan zusammenstellt. 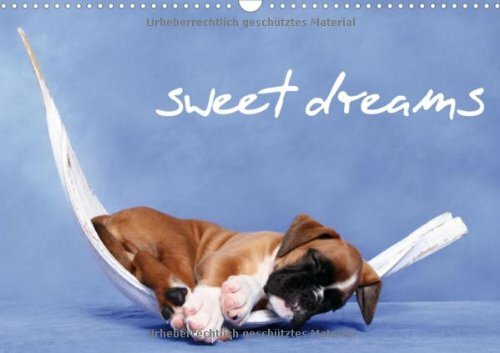 Nach eigenen Bedürfnissen, Stärken und Schwächen.Dieser Vorteil ist gleichzeitig für manche wahrscheinlich auch der größte Nachteil. Es ist kein No-Brainer (3 Sets 12 Reps von Übung A, dann Übung B) sondern ich muss mir Gedanken über mein Training machen.Dies ist meiner Meinung nach perfekt. Den jeder hat andere Ziele, andere Stärken und andere Schwächen. Ein vernünftiges Training nach 08/15 - einer für alle passt leider nicht immer.Die Trainingsergebnisse sind auf jeden Fall überzeugend. 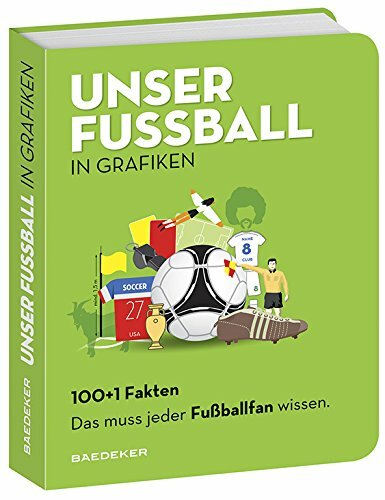 Die Trainingszeiten liegen je nach Ausführung zwischen 60 - 90 Minuten - also vielleicht auch nichts für diejenigen die den aktuellen Crossfittrend vergöttern. Aber das Training ist fordernd und wenn man selber an seine Grenzen geht sind die Ergebnisse auch entsprechend gut.Eines der besten Fitnessbücher die ich gelesen habe. Wünschenswert wäre eine deutsche Übersetzung um diese Idee mehr Menschen zur Verfügung zu stellen. 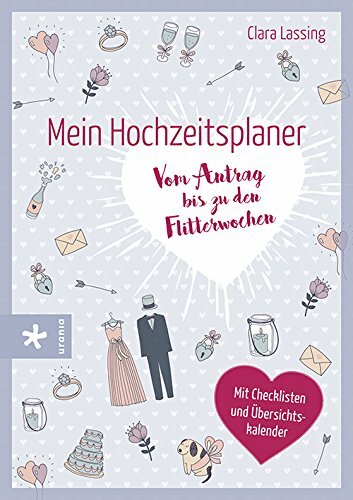 Dieses Buch hat mich überzeugt. Es ist geeignet für Sportler, die sich bereits mit Bodybuilding im Fitnessbereich beschäftigt und ernsthafte Ambitionen zum Training haben. Es setzt gewisse Kenntnis voraus, wie man mit Gewichten und Hanteln umgeht und ist somit nicht unbedingt für Anfänger geeignet. Allerdings werden für jede Art der Übung (z.B. Push, Pull, Hinge, Core,...) verschiedene Versionen gezeigt, von sehr leicht bis sehr anspruchsvoll (auch für Fortgeschrittene).Insgesamt gefällt mir das Buch sehr gut, vor allem die Trainingspläne.Es gibt in diesem (Fortsetzungs)buch keine Ernährungstipps. Just read the core of this book and I am now sketching out plans on how I am going to take it into the gym. As a fan of the original New Rules of Lifting, I think this is a very nice face lift. The main changes that I've noticed from the original is that many of the "why" questions that weren't addressed have been tackled now. 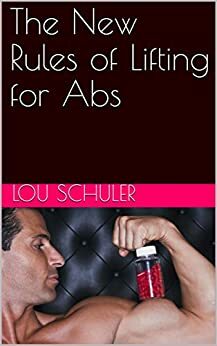 Lou Schuler goes into the specifics about why things work and tries to convince you why it would be beneficial to follow these programs.In the the original NROL, the reader was given lots of workouts that addressed your goals. In this refresh, the reader now has the ability to customize workouts to a much greater degree. Instead of being told "do a Bulgarian Split-Squat" for example, you can now choose to select from a group of exercises that you feel would be best suited for you, and incorporate that into your workout. Different exercises are ranked by varying difficulties, so you know what you're getting into.Another change I like is that there is now a very detailed section about warm-up and cool-down. In the previous version, I was always at a loss about how to begin and end my workouts. This gives me a nice structure for developing my training regiment.While I haven't yet tried out the new workouts presented here (but will do so in the next couple trips to the gym), I have great hopes for them. I will post an update after putting them to use. I loved the original NROL because it got me moving and working in a way that made a lot of sense. Instead of simply using the machines and doing bicep curls, the original book got me doing more work that really targeted my body as a whole and were much more effective and efficient than anything else I've tried. I'm looking forward to continuing to be the guy doing deadlifts and squats while everyone else in the weight room are doing curls, and having much better results.As a guy who lost 15% of my body fat using the original NROL, I'm really happy with this book. I was a little skeptical at first, since I didn't know what they could address that wasn't in the first book, but I really did find a lot of value in this version.This book is great for those who want to do strength training, but get utterly confused or intimidated when they walk into the free weights section of their gym.~~~~~~~~~~~~~~~~~~~~~~~~UPDATE: February 2013~~~~~~~~~~~~~~~~~~~~~~~~So I've just completed the first program in this book "Basic Training I" and this evening I'm going to do my first workout in the "Basic Training II" series. My experience so far has been very good. I find that following the program gives me a decent total body fitness routine that leaves my heart pumping and the sweat dripping. My one criticism so far is that using this book is very time-consuming. Designing my first program, with selecting my own exercises, took about 45 minutes. Then after the first week, I had to make some adjustments to which exercises I was using. It probably wasn't until the third or fourth session that I felt like I had a routine that fit me well. Each workout also takes me a little over a hour in the gym to complete, so if you're short on time, I could definitely see that you won't get through everything you planned. Finally, two last minor criticisms are that I feel that the part of the programs dedicated to pure core training is a little sparse, but I adjusted by adding one or two extra exercises during my routine to that section. I also tried one of the variations recommended in the book, an exercise I've never done before, and ending up tweaking my knee a little bit performing "Cross Over Step Ups". Knee tendons were sore for about a week, and I haven't done the cross-over variation since. Live and Learn.Overall, I remain happy with this book, and maintain the 4* rating. I feel like I can definitely get solid workouts with these programs that are more geared towards my goals (higher-intensity exercise to lose fat, get leaner, and maintain muscle). They are fun, and the fact that you select your own exercises makes you feel like you have more control in your gym time. As a final note about the time-commitment, When I was planning my "Basic Training II" workouts, it took only about 15 min to map out everything since I was more experienced using the book.I still recommend this book if you are looking to get started in a new effective strength training regiment. I purchased this book after having some negative experiences with the Book of Muscle that Lou helped write. After contacting him, he was very receptive and respectful and suggested I upgrade to this book. I definitely came along at the right time, it seems to be a combination of the previous four NRoL books, and I think the people that get the most from it are people new to the series. I read this book through twice before even starting the workouts, the first to get the gist of it, and the second to put sticky tabs all over it. Yes, it takes some time to wrap your head around how the workouts work, but this book covers a lot of excellent information, talks about how to do things safely IMHO (my shoulders were hurting from doing other workouts, and my back was hurting from doing strange ab exercises that required too much curving and rotation, which this book purposely avoids).If it helps, here's how I approached the book (page numbers are from the hardcover edition). I treat it as a reference, only getting it out when creating a new workout, or to check on an exercise I have questions about. I'm a fairly analytical and slightly OCD person, so if you're like me, maybe this will help you, just get a pack of post-it flags:1) I bookmarked the section on how to choose the exercises (68)2) I bookmarked the beginning of each set of exercises: Squat (82), Hinge (95), Push (111), Pull (129), Lunge (148), Single-Leg (162), Core (177), I bookmarked the "How to Select Exercises" page to make it more clear), Combination (210), Power (217), Metabolic (224).3) I bookmarked the list of exercises, p. 264, and added page numbers next to each exercise. This is probably the most important page when creating the workouts.4) I bookmarked the section heading for each set of workouts: Basic (269), Hypertrophy (277), S&P (286).5) I created a simple excel spreadsheet for the workouts columns are Exercise Name, Recommended Reps/Sets, and then a column for each set, with each cell split for weight and reps, rows are for each exercise). The werkit.com sheets are kind of helpful, but I end up having to reference the book and create my own spreadsheets anyway, so I don't use them.6) I go to the next workout I want to do, follow the instructions, reference the exercise list, and plug them into the spreadsheet. If I have questions about any of the exercises, I have the sections bookmarked for reference.7) I typed out the RAMP warmup (which I enjoy a lot more than my previous stretch-then-jog-for-five-minutes warmup), and added a couple of words to remind myself how to do them.Yes, it's a lot of work, but it works for me. There are definitely times when I just want to do a pre-existing workout someone else created, but there are an equal number of times where I think "This exercise is stupid/too easy/painful/my gym doesn't have this," and it's nice to be able to flip back to that section in the book and just choose a variation or different exercise altogether.The one thing I'll say makes the book a little TOO confusing is the number of types of variations. Not just the number of variations, that's awesome, but the number of TYPES of variations: there's Level 1, then Level 1.5, then Level 1 "Supercharge it! ", then Level 1 "Alternative", then Level 1 "Option". It's a little hard to keep all of these straight. The book usually explains why the variations exist (.5 is harder, Supercharge is harder, Alternatives and Options are for equipment or injury restrictions), but it's a lot of nomenclature that doesn't always seem to make sense to me.Still, it's a great book, I've been using it for over a year. I like how they seem to have combined the other 4 NROL books into one.